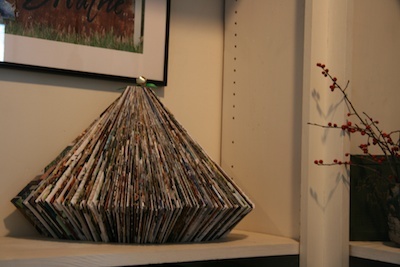 Last week I posted a link to a post about Christmas trees made from books at The Mary Sue. 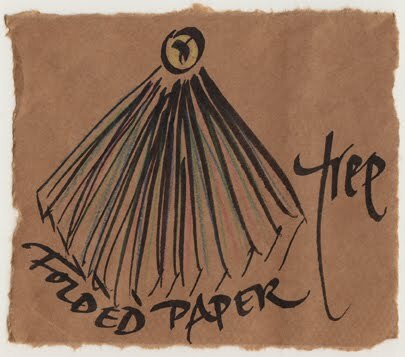 I was inspired by the ones made of folded pages. I used a design catalog that was given out at the Custom House Holiday House Tour in Newburyport. I experimented with trimming the tree with a small strand of battery-powered LED lights but decided it looked best ornamented only by a jingle bell on the top.